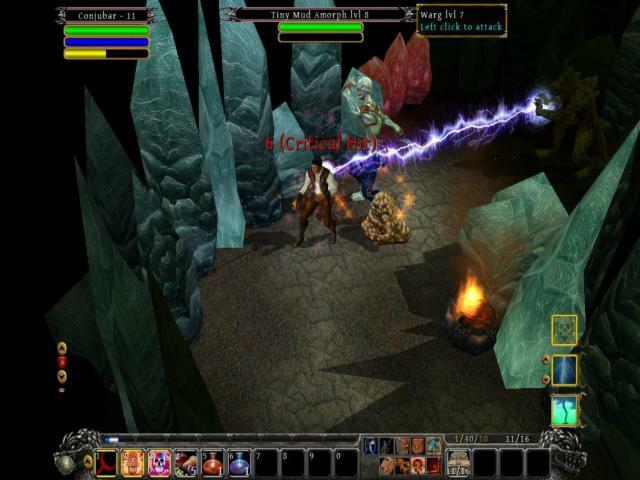 The mighty Diablo still rules the hearts of fantasy dungeon crawler fans the world over, and has taken over the legacy left behind by such retro classics as the Kroz series. 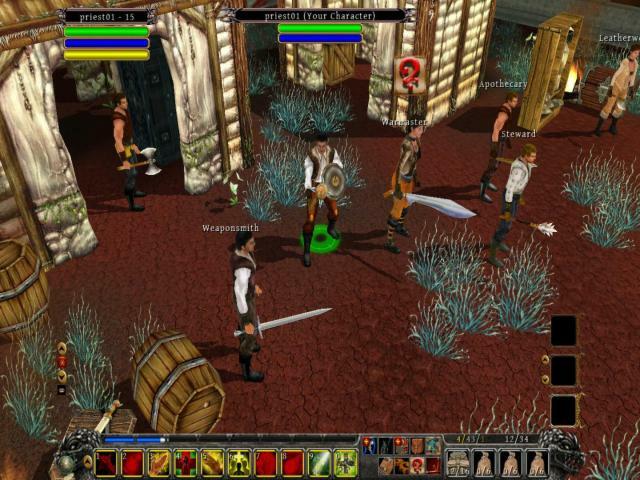 Din's Curse follows in the footsteps of such games and provides more of the same mix of exploration, looting and of course monster slaying. The game finds the player in control of someone who has actually just died but who has been given a second shot at life by the god Din. However, in life, you were apparently a bit of a cad and a bounder so now you have to redeem yourself by saving others, less fortunate than yourself. What this translates into is a fast-paced single and multi-player action RPG, where you get to do all the usual kind of things associated with such games plus a whole lot more. You'll be exploring the underworld of Aleria, slaying monsters and grabbing treasure, along with the usual quests, although these do adapt over time which is interesting. The missions themselves are pretty varied and involve the likes of blowing up deadly machines, hunting renegades, causing wars and so on, and it's this variety which gives the game much of its appeal. The other key aspect of the key is the random nature of things, with events, dungeons and so on all generated on the fly, and which really keeps you on your toes. The visuals aren't spectacular, but the game was produced by a small team so this is forgivable. Fortunately, the gameplay makes up for any shortcomings in the graphics front (which aren't bad, just a little outdated), so if you are a Diablo fan on the lookout for something a little different but still familiar, this is a good bet.